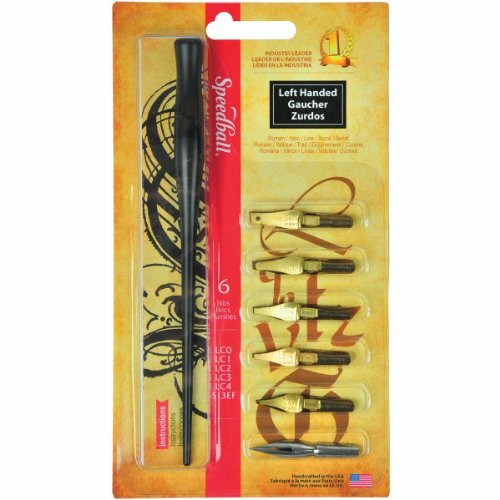 SPEEDBALL ART PRODUCTS-Left Handed Pen Set. This set of nibs and pen holder is ideal for left-handed artists looking to create Roman and italic lettering line scrolls and script. Included in the set are one pen holder six nibs (styles LC0 LC1 LC2 LC3 LC4 and 513EF) and an instruction booklet with helpful tips on lettering and drawing methods. Made in USA.